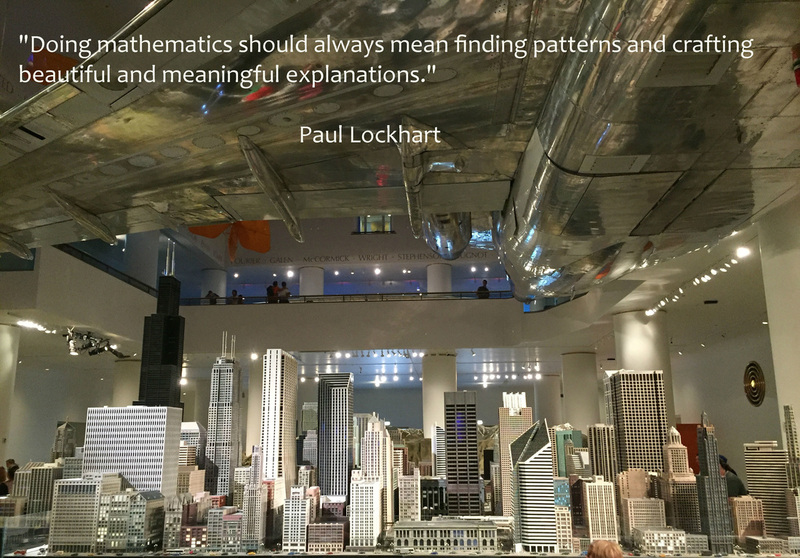 My big idea is that my students will be able to explain and build from what they learn in math. My i-Images were all pictures taken at the Museum of Science and Industry in Chicago, IL. The first picture is of the Chicago skyline, and I took this picture because it shows the beauty of math that lies within the city and its structures. The quote that goes with it really describes my Imagine it with the picture by telling us what to look for mathematically when we look at different things. The second picture demonstrates another structure that shows what vertical farming is. The idea that you can farm and build up instead of traditional farming is very much related to my big idea in that it asks for much explanation and knowing. Therefore, the quote really tells of the importance of explaining for understanding. The final picture was taken from the Numbers in Nature exhibit and it was taken from the video as it played as you entered the exhibit. The picture, as well as the whole video, described the great and many ideas that we not only see but also understand in math.